How do I use the MoonClerk Wordpress plugin? 1) Upload the wordpress-moonclerk-embeds plugin to your Wordpress site. 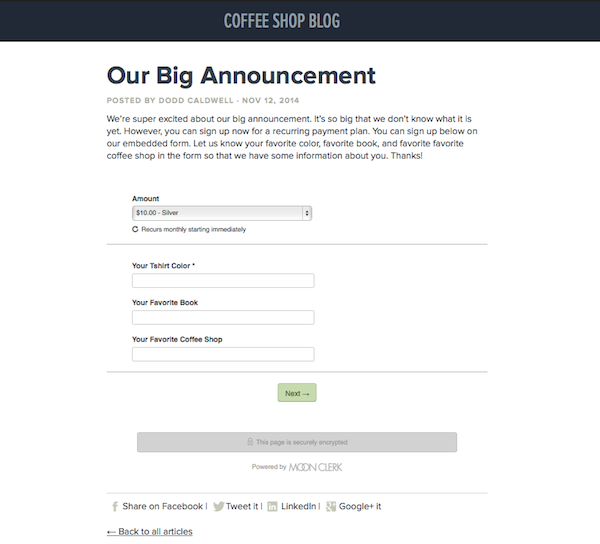 3) In your MoonClerk dashboard, copy the shortcode for the payment form you’d like to embed on your Wordpress site. 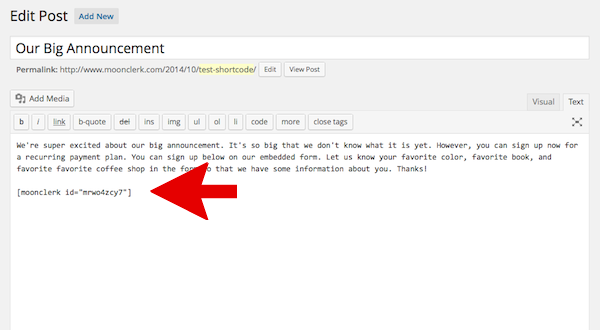 4) Paste the shortcode into either the Visual or Text area of the page or post editor. 6) When you preview your page or post, the MoonClerk payment form should show up.